The loss of a loved one as a result of a fatal accident is traumatic and painful event. During this difficult time, you need a tough, skilled attorney who will fight to seek the justice and recover the damages your family deserves. At Spinner Law Firm, we fight hard and we maintain a close relationship with our clients through all phases of the wrongful death process. If a loved one has been killed in a fatal accident, Charles Spinner, Jr. and his experienced team can bring you through the wrongful death process and help you recover the compensation you and your family are entitled to. 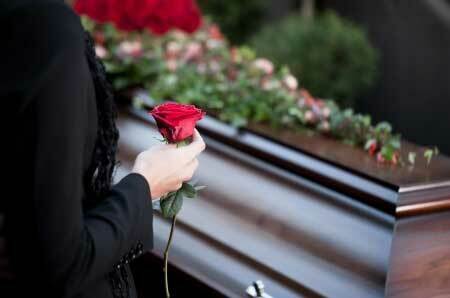 Wrongful death claims are filed in the name of the personal representative of the decedent’s estate on behalf of the decedent’s survivors, including the decedent’s spouse and/or minor children. Spouses, children and parents of wrongful death victims may be eligible to recover damages. Compensation of damages can include loss of support and services, loss of companionship, and mental pain and suffering. Wesley Chapel wrongful death Attorney Charles Spinner, Jr. and his legal team will conduct a thorough investigation of your case, gather the necessary evidence, work with expert witnesses to protect your legal rights. We will fight for every element of a wrongful death compensation case that you and your deserve. You will only pay for our services if we recover for you. Spinner Law Firm represents wrongful death clients in cities throughout Florida, including Tampa, Sarasota and Wesley Chapel. Call us at 813-991-5099 to schedule your free, comprehensive, no obligation consultation.